Moving lights are all the rage in worship lighting now. The introduction of LED moving lights has brought the cost of ownership way down for this category of light which brings them well into the church lighting budget. But before you jump into the moving light space there are several things you should consider. Moving lights look cool. But they are not going to bring to Christ, and if they do, maybe we should have a different conversation. Of course, they can do a lot to enhance the look and feel of a service element like a song or scripture reading, but the can also very distracting if not done well. And we don’t want people coming to church for the lights, we want them coming to church for Christ. Ask your self a few question. Is there something we can not do without a moving light? If your answer is, “make them easier to focus”. Your not a lighting person and please go hire one. If I had four or five conventional lights could I do the same thing? This is about the cross over point in regards to cost. If your one moving light is going to do more than what 6 other lights, then it would be worth it. Are you lighting for Camera? If you are lighting for Camera, adding moving lights for the first time is going to throw the whole system out of balance. How much extra time do you have to program? Adding one moving light is equal to adding 20-30 conventional lights when it comes to programming time. Just adding 4-6 moving lights will double the amount of time you need to spend programming the event. Do you have that time? 4 fixtures is not really cool. Do you have enough money to buy 8 or 10? To get the look you think you want you really need double that amount. Do you have the money? If you want that really cool beam look that everyone thinks you need moving lights for you are going to need to smoke, or haze if you would prefer. Some churches are not ok with this. Some are ok with this but don’t know how to turn the fire alarm off. Please investigate this before you spend a lot of money on fixtures. Without smoke, it would be a huge waste of money. After all, the only thing moving lights can do that conventional fixture can’t, is move. If you can’t see the beam move you are stuck with using lights for what they are made for. Casting light on things. Do you know how to use these kinds of fixtures? I have a hard and fast rule when I am consulting with clients. If you don’t know how to use it, you can’t buy it. What I suggest is you do a trial run. Rent some fixtures for an Easter or Christmas event and make sure they work for your space. Rent the exact fixtures you want to buy before you buy them. Do this for 2 reasons. First, make sure that they work for your space. That they are bright enough and big enough, or small enough for what you need. Do you need color mixing like the MK1 or not like the Rouge R3. Second, make sure you only buy fixtures from someone who has more to rent you. These will break at some point and you will need to replace them. If you purchase something from a local supplier they will #1 be able to repair them and #2 be able to rent you a spare. #3 they can also arrange a demo of multiple fixtures for you and even come help install them for little or no extra cost. Please don’t buy them from Amazon. They honestly don’t know and don’t care if the light is going to be good for you or not. Start a relationship with someone local who can take care of you in the long term. Hiring an AV company to come in and design or redesign your space is a huge decision. This decision deserves more attention than picking out the color of the carpet. The choices you make at this point will effect your church for years to come. Let me point out a few pitfalls and how to avoid them. Picking one company to do everything is a huge mistake. Every single AV company in the world specializes in one department. I have never met a company that was equally talented in the main three fields of Entertainment. They are either a Sound Company, Lighting Company, or Video Company, that can also do the other things. There are great companies who are very talented in all three areas, but at the end of the day, they still specialize in one area. Pick the companies that specialize in what you need to be done. No company specializes in everything. Only hire a company to do it faster. If the church staff can’t do it for themselves, the church as the wrong people doing the technical jobs. Church staff should be coming up with the design and system requirements for your AV install. Relying on the AV company to make suggestions about what gear to buy is a bad idea. All this does is allow the AV company to sell the church products that you don’t need and can’t operate. Staff needs to be educated enough in the field to spec out the system that will work best for your church. Staff members are the ones who see the service every day and know what is needed. The design or system requirements should be finalized by chuch staff before contacting an installer. If you followed my suggestion above it will be really simple. By already having the design and system requirements in mind before calling the installer, you will able to quickly get multiple bids. If your system drawings and design specs are suficenrly detailed this should only take weeks to get multiple bids. AV companies like other contractors typically operate on a cost-plus model. They sell you a product at cost plus their markup. The more expensive the product they sell you the more money they make. This incentivizes the AV company to sell you a $5,000 light when a $500 light would have done the job. Knowing that you need a 24 channel mixer upfront will prevent you from owning a 48 channel version that you don’t need. Guess what? All AV companies want to come back and do round #2 and #3. For this reason they purposefully use tactics to keep you calling. Tactic #1 sell product you can’t operate. This keeps you calling them back weeks and week after the install is done to “train” your team. This can create massive billings for the AV company. If your staff does not already know how to operate it, you can’t buy it. Tactic #2 planed obsolescence. I can’t blame the AV companies completely here. Very often churches will agree to buy products that are at the end of their product life cycle simply because they are less expensive. Unfortunately, most of the time the church is unaware of this. AV companies often fail to talk about this. Tactic #3 Not planning for expansion. Planning for the future is hard, but not planning is worse. Building in bullet proof infrastructure from phase one is 10x less expensive than redoing the infrastructure every time the wind blows. An AV company is there to make money and don’t be surprised if they only run the required lines to make a system work, and not all the lines for all the possible situations. But don’t worry they will come back for a fee. To conclude, if the church staff can’t do the install expect to be taken advantage of. AV companies do great work, but just a like any other contractor they need to be watched and supervised by a knowledgeable staff. 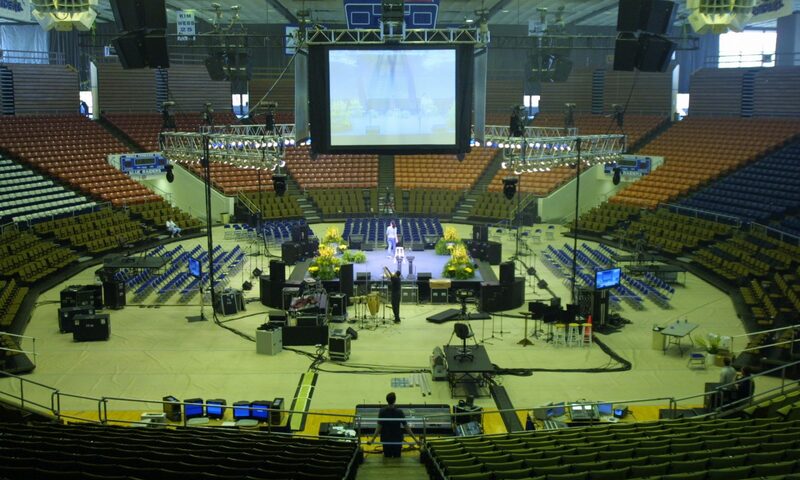 Lean on an AV company to do the job more efficiently and at lower cost than doing it with volunteers or church staff. 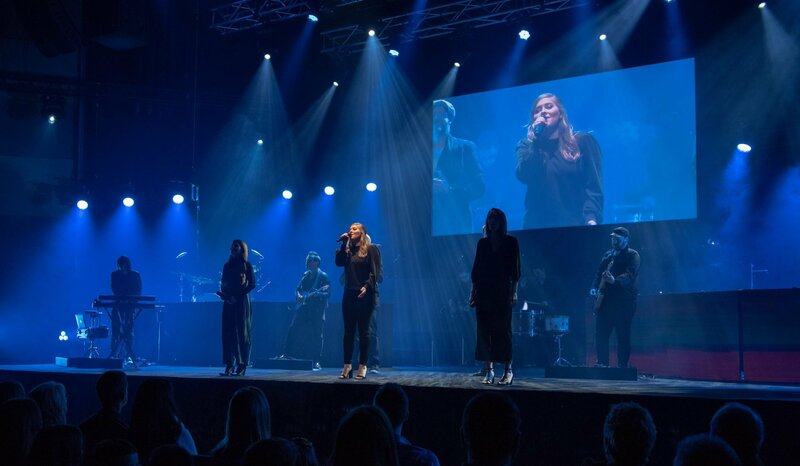 It should cost less to hire an AV company todo an install than your church staff doing it. Don’t believe me, reach out and I will prove it. Contact me here.